in a late summer bouquet. Just when I finally think I have everything planted, I see that hydrangeas are 50% off at a local nursery (Terra Nursery for anyone that happens to be local). What hydrangea lover resist such a deal? So of course I came home with two of the newer dwarf cultivars and am contemplating a run back to the nursery to buy a third one. I absolutely adore Hydrangea paniculata and Hydrangea arborescens. 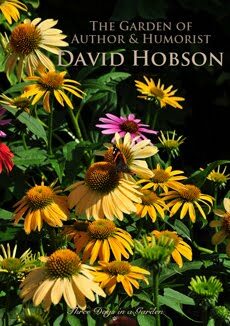 They flower reliably from mid-July and look terrific right into the fall. Both types of hydrangea bloom on new wood, so there is no worry of flowerbuds dying overwinter (as they always seem to do for me on any type of Hydrangea macrophylla or Mophead hydrangeas). You can prune them as needed in early spring to remove last seasons flowers, any crossed or damaged branches and to adjust their shape/keep them compact. Smooth Hydrangea, Hydrangea arborescens 'Invincibelle Wee White' is the same type of hydrangea as the classic and much-loved 'Annabelle', but in a very petite form. The flower are cream colored and the stems are nice and sturdy. Last summer I added a Hydrangea paniculata 'Bobo' on either side of the back door. So far I am super pleased with them. Hydrangea paniculata 'Bobo' forms a low rounded mound of green foliage and has white flowers that turn pink in the fall. Smooth Hydrangea, Hydrangea arborescens 'Invincibelle Mini Mauvette' has deep, pinky-mauve flowers and sturdy stems that keep the large flowers from flopping. Smooth Hydrangea, Hydrangea arborescens 'Invincibelle Limetta' has a dwarf, rounded habit and lime-green flowers. The blooms lighten to a soft greenish-white before becoming jade-green for the rest of the season. I had the full-sized Hydrangea paniculata 'Quick Fire' in the back garden and was so happy with its performance (in particular its drought tolerance), that I bought the dwarf version when it came out a couple of years ago. Like its big brother, 'Little Quick Fire' has done very well. Hydrangea paniculata 'Little Quick Fire' flowers earlier than most other hydrangea paniculata. The blooms are white and then turn a fiery shade of pink as the fall approaches. This is one of the hydrangeas I bought on sale. The flowers are a deep reddish-magenta and I thought that it would look nice adjacent to a wine colored Ninebark and a pink 'Invicibelle Spirit'. The tag says full sun, so I am a little worried that it might not get enough sun where I planted it, but we'll see. I can always move it next year if it is unhappy. Smooth Hydrangea, Hydrangea arborescens 'Invincibelle Ruby' opens to a two-toned combination of bright ruby red and silvery pink. The foliage is quite dark and flower stems are nice and strong. 'Invincibelle Ruby' is adaptable to most well-drained soils. 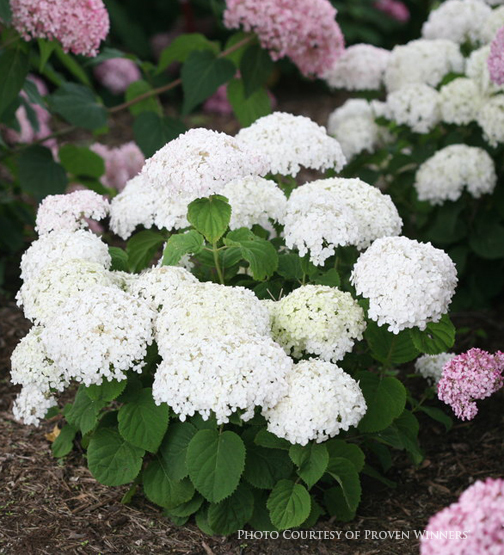 Hydrangea paniculata 'Little lamb' blooms mid-summer with cream colored flowers that become pink as fall approaches. It is adaptable to a variety of soils, but will be happiest in good, loamy soil. Hydrangea paniculata' Zinfin Doll' is a bit like the full-sized Hydrangea paniculata 'Pinky Winky'. The flowers are pure white and then turn bright pink from the bottom up. As the weather cools, the flowers age further into a dark pinkish-red. How to Choose a Dwarf Variety? Smooth Hydrangeas, Hydrangea arborescens have broad, dome-shaped flowers and greenish, somewhat flexible stems. They need a minimum of six hours of sun (the exception being hot climates where some afternoon shade is beneficial). Based on my own experience, they really resent dry conditions, so keep that in mind as well. 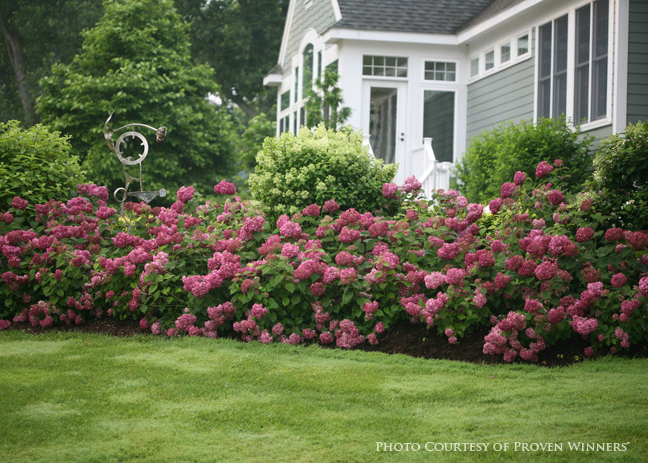 A layer of shredded bark mulch will help these shallow-rooted hydrangeas to conserve moisture, but if you're in area like mine where July and August are always dry, you may have to provide supplemental water. 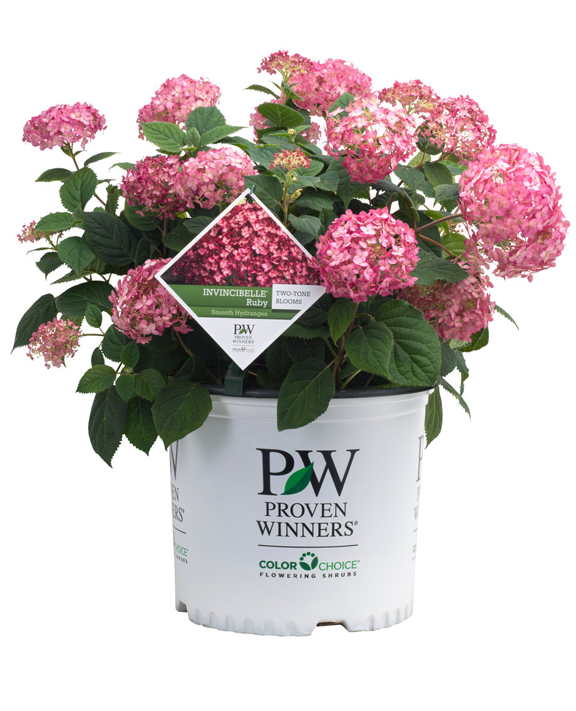 Hydrangea paniculata have rounded or cone-shaped flowers and brown, woody stems. In colder zones like mine, they prefer full sun, but in warmer garden zones, they would appreciate a bit of afternoon shade. 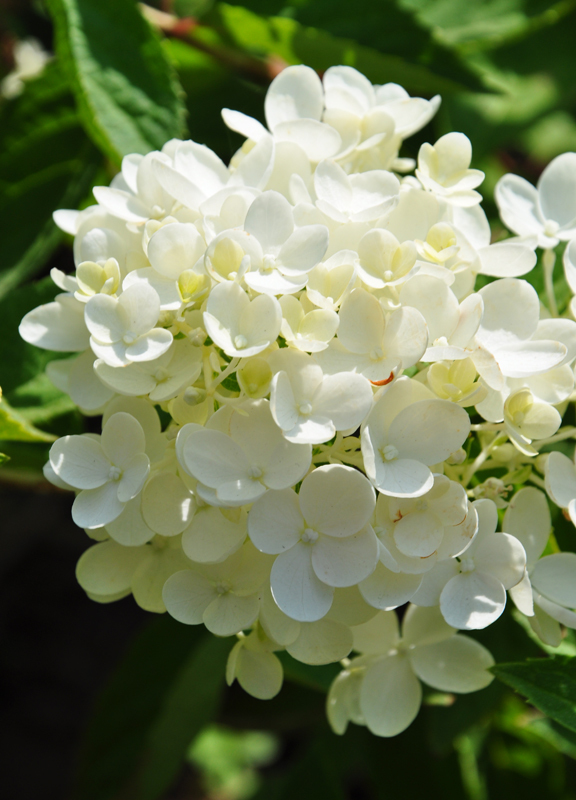 Like Hydrangea arborescens, they like moist, well-drained soil that is rich in organic matter. If soil moisture is a worry, 'Little Lamb' and 'Little Quick Fire' are two somewhat drought tolerant options. Hydrangea paniculata' Zinfin Doll' is heat tolerant for those gardeners south of me. 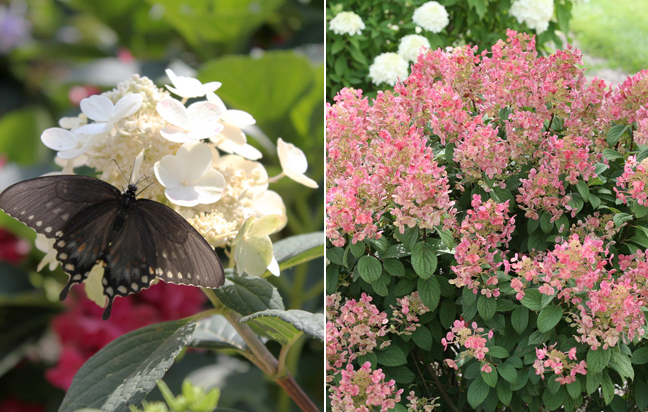 Both the blooms of Hydrangea paniculata and Hydrangea arborescens are unaffected by the soil's pH level. 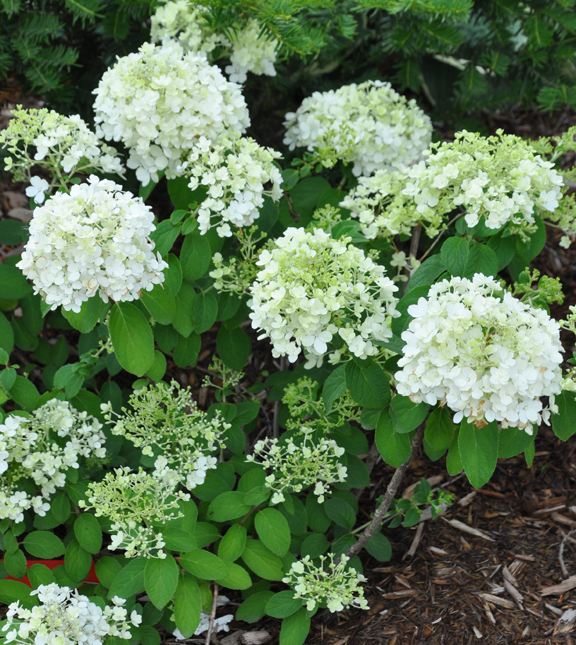 Generally Hydrangea paniculata require a light annual pruning. Smooth hydrangeas (Hydrangea arborescens) require that you cut the entire plant by one-third its total height early in the spring. This is the second hydrangea I bought. 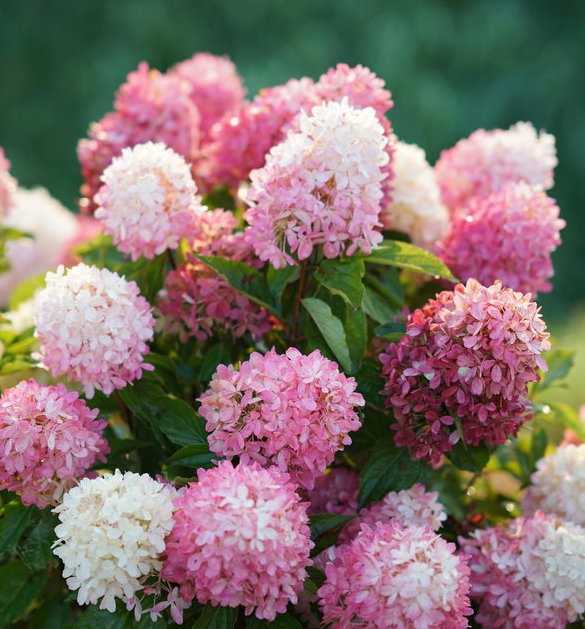 Hydrangea paniculata 'Bombshell' has a similar flower shape to 'Bobo' from Proven Winners and also matures into a rose-pink. 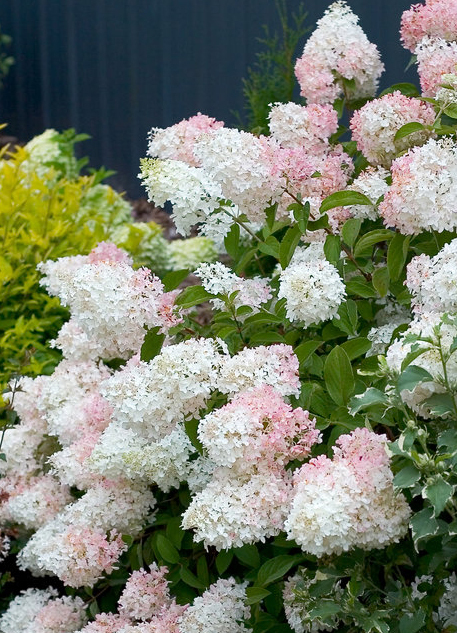 It's a prolific bloomer that flowers earlier and longer than most other panicle hydrangeas. 'Bombshell' seemed to be the perfect replacement for a hydrangea I lost mysteriously last fall after ten years or so in the garden. How about you? Are you still doing the odd bit of planting? Many thanks to Proven Winners for some of the photos in this post. The blog is having some technical issues and a couple of comments were lost. Thanks Anne for sharing your experience with 'Bobo' in zone 3. Perhaps as you suggest, it may not be hardy beyond zone 4. I'm in 6b and struggle to get mophead hydrangeas to bloom (despite what the zoning for the some of the newer hydrangeas suggest. They bloom on old wood and that old wood rarely makes it through the winters here). Thanks Julie for your comment as well. I am originally from Nova Scotia! 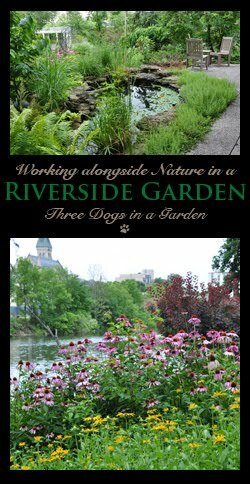 I can relate to your problems with watering new perennials. I added a new flowerbed last fall and have had to water everything new to the garden this summer. Usually August is dry, but July isn't too bad. This year we're really having a hot, dry summer!! I enjoyed this informative post Jennifer. I have been using more dwarf varieties of plants in my own gardens as well as in my designs. With all the new hybrids you can have beauty and low maintenance. 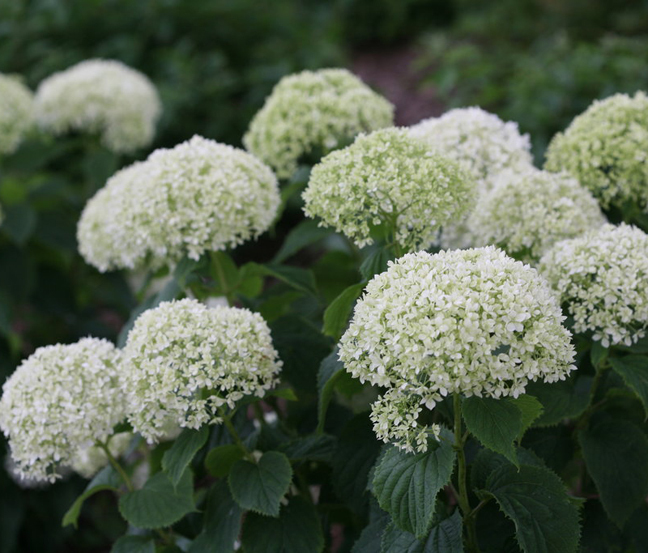 I am particularly fond of the Hydrangea paniculata 'Bombshell'. Excellent post for me: I just purchased a hydrangea for our new place. Although the yard is complete, there was a 'hole' that needed something but I hadn't decided yet what I'd like in that spot. Last week I finally decided a beautiful Annabelle would be perfect both in size and colour. Unfortunately the local nurseries were already sold out. BUT, one of the nurseries had a fresh shipment of alternate hydrangea, most being white or blush. I picked Hydrangea Paniculata Phantom. Lovely white, lacy conical flowers with very dark green leaves. It was delivered just a short time ago. As it happens, I have one spot in front that I had planned on saving for a special daylily but now that I have read your article, I'm going to go back and see if any of these dwarfs might be available -- I didn't even look at the dwarfs while there. In your post, the one that really appeals to me is the 'Invincibelle Wee White'. I'm going to go see if they may have it. 'Phantom' is quite a big hydrangea, so I hope you've left some room for it Diane. It quickly reaches 6-8 feet in height and width. It's bound to be pretty though. I hope you can find 'Invincibelle Wee White' for that other spot. Thanks Rose. I must pop over to your blog and say hello. I would love to try out Bobo some time .. I am curious about that one. 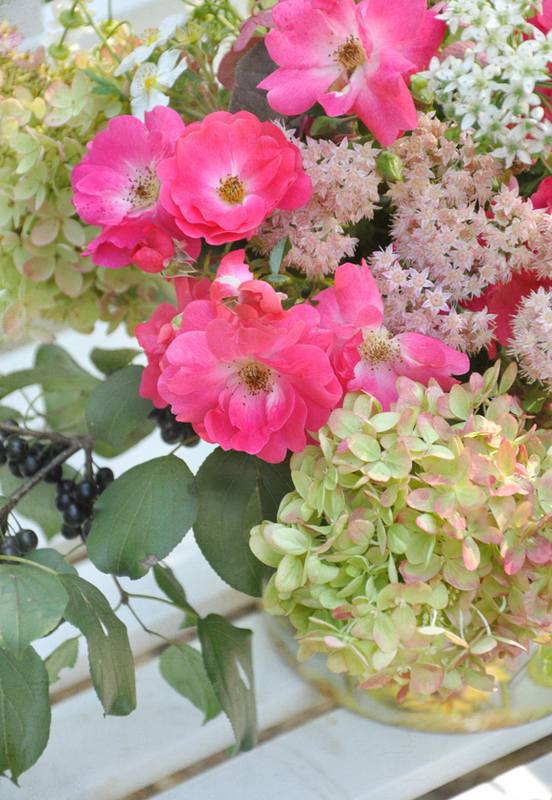 Great post about the advantages of smaller hydrangea ! I hope your new purchase does better for you than hydrangea macrophylla have done for me. Most hydrangea macrophylla bloom on old wood and that is the problem for me. The old wood isn't hardy in my garden and the flowerbuds die along with the stems. Some of the latest cultivars bloom on both old and new wood which is a vast improvement in my books (but you would have to search them out). 'Early Blue' is hardy to zone 5. Fingers crossed that it does well for you Joy!